Claudia is a new student in the special needs program at Emanuel House. Most special needs children in the Dominican Republic are not schooled. Thus, attending Emanuel House is Claudia’s first time in a school-like environment. 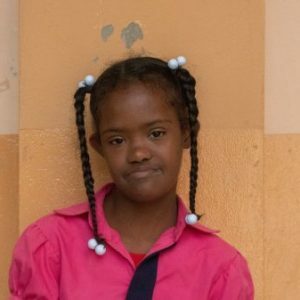 She is unable to read and write, and while she struggles to speak, Claudia is very social. She is fascinated by educational games, is loving towards others, and seems eager to finally be able to attend school. At home, Claudia is able to brush her teeth and dress herself, but often needs help walking down the street.